It was game night at the Saint Paul Union Depot. I didn’t partake in the games, but played with angles instead. At first glance this might look like a chessboard on a table. But it’s actually two foot high game pieces standing on a rubber mat. I can attest the marble floors in the Depot were spotless on day 107 of Photo 365. 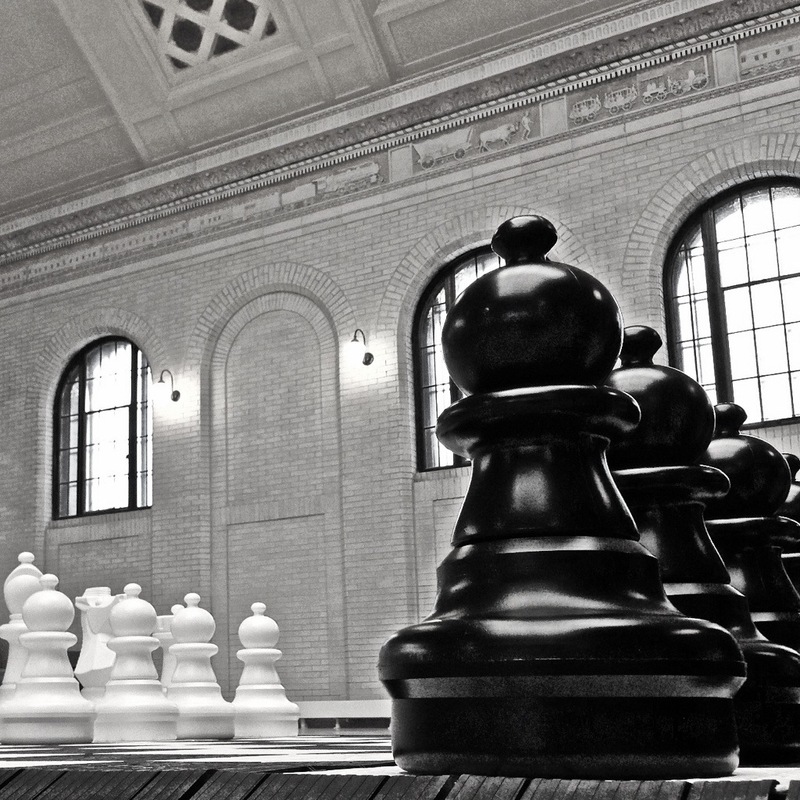 This entry was posted in Photography and tagged Chess, Lowertown, Photo 365, Saint Paul, Union Depot. Bookmark the permalink. Great shot- very dramatic angle!